Don't let brisk winds or chilly drizzle slow your winter explorations. 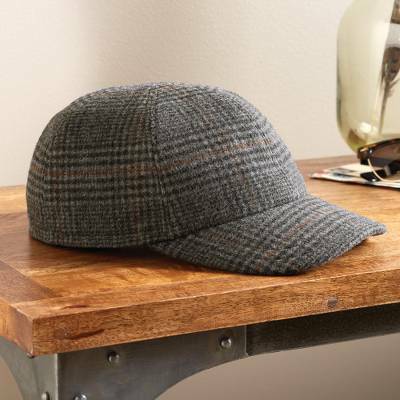 Our plaid baseball cap combines the water-resistance of Gore-Tex® with the insulating properties of wool. Hidden earflaps tuck seamlessly away until needed for extra wind protection. Crafted in the Czech Republic, where a hatmaker's guild has been perfecting the craft since 1630.